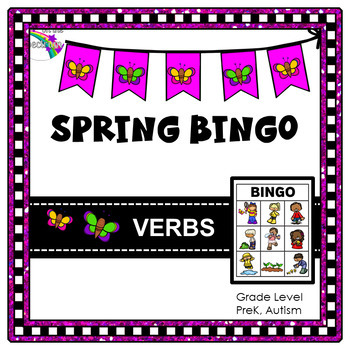 Spring Verbs Bingo is great alternative for reinforcement and generalization of verb concepts with a fun theme. Your autism, special ed. 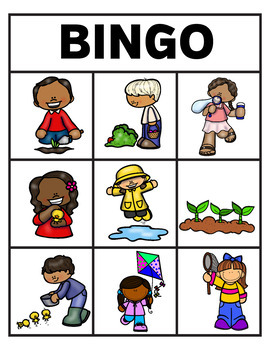 and preschool students will enjoy practicing verbs while engaging in this fun game. The boards are presented in two sizes and in color and black and white for easy differentiation. 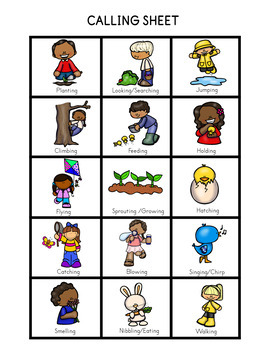 The colorful pictures are engaging for students and can be laminated and used with coins or tokens. 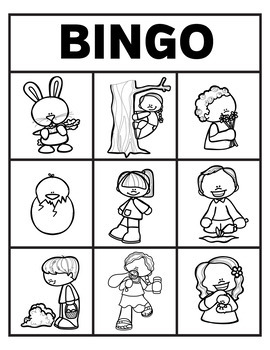 The black and white boards can be used with dot markers, bingo markers or crayons. You may use a calling sheet or cut apart the calling cards and put them in a container. Pull cards out one by one and call until someone gets a bingo.